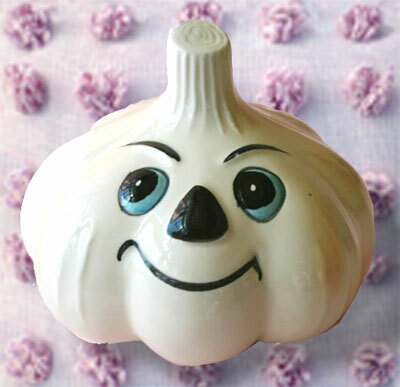 This vintage 1950’s shaker, clearly distressed at the smell of what’s inside it, is NOT the look on my face but, rather, the plethora of friends around me who hate the stuff. 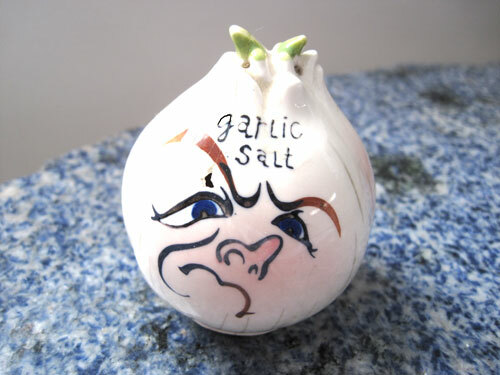 Did you know that garlic is a species of onion? 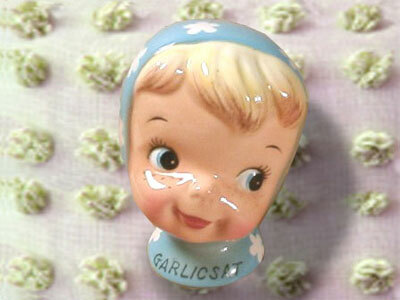 Garlic salt shakers were very popular in the 50’s, 60’s and 70’s. They usually came with a companion onion salt shaker.